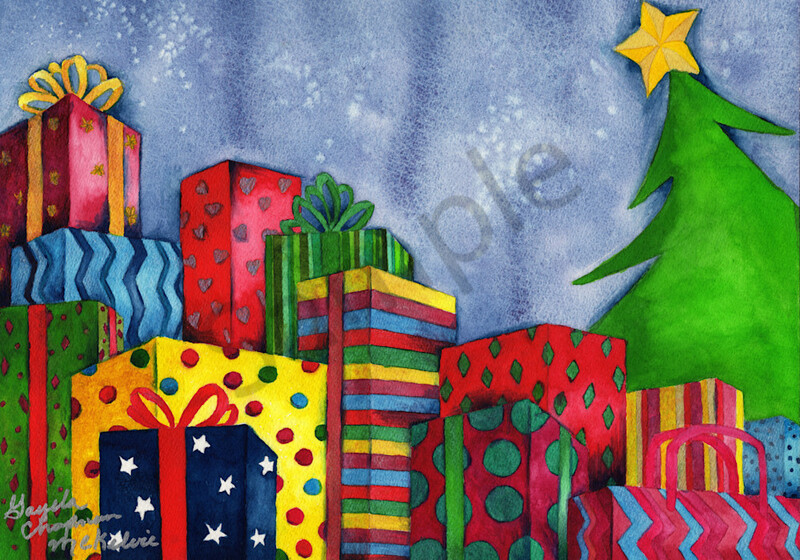 Christmas art that will get you in the Christmas spirit. Pretty and colorful packages all wrapped for Christmas. This painting reminds me of seeing all the Christmas decorations and the Christmas spirit when shopping and enjoying the holidays.